Tomorrow is December 1st, and the kick-off to the #LightTheWorld campaign: 25 Days, 25 Ways. Each day focuses on another action of Jesus Christ, and invites us to follow His example. 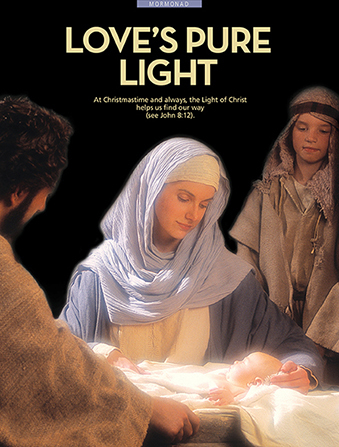 Photo: Mary, Joseph, and baby Jesus with the caption: "Love's Pure Light At Christmastime and always, the Light of Christ helps us find our way (See John 8:12)." I absolutely love this initiative--primarily because it puts the focus of Christmas where it should be, but also because it is totally flexible. I can participate in ways big or small, as my time or energy allows. Will you join me? I'd love to hear how you are giving service during this Christmas season! Thanks for the chance to look for service opportunities. Putting focus on Christ is the only way to celebrate the season of Advent. Looking forward to your posts.